Did you know that if you are a member of staff, or a research postgraduate, the library offers one-to-one training at your desk? 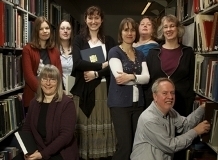 Our team of Subject Librarians can offer advice on finding resources in your subject area and managing your references, as well as offering assistance for the resources aspect of research bids or proposals. In addition, we also advise on Open Access issues: how you can use our institutional repository ORE to raise the profile of your research and to comply with research funders’ Open Access publication requirements. To book an appointment, please send a message to libraryhelp@exeter.ac.uk, stating which College/discipline you belong to, brief details of what you’d like to ask about, and a convenient date/time. We’ll get back to you and arrange to pop over to your desk/office. For undergraduates or taught postgraduates, we offer group training sessions as well as individual appointments in the libraries: please see the Subject Guides pages for further help and contact details of your Subject Librarian. This entry was posted in Open Access, Referencing, Research, Training on 26th Mar, 2013 by cagale. Would you like to learn about effective information searching and research skills, and discover more about the different kinds of library resources available to you? Then the Library and Research Skills module in ELE is for you! 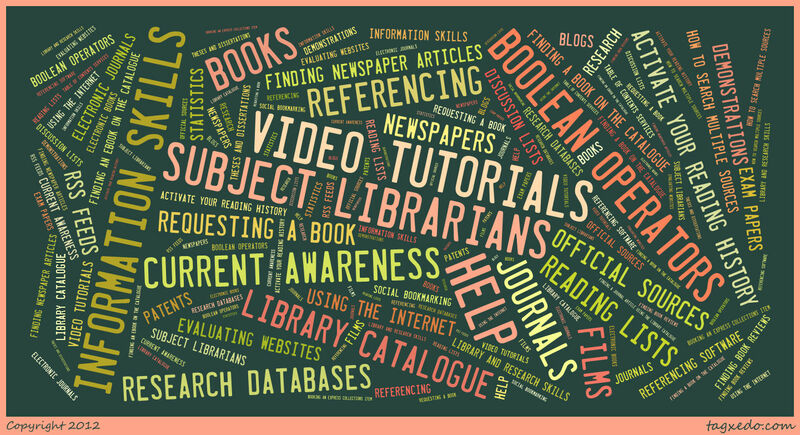 In it you will find lots of information to help you find and use different kinds of resources. You don’t have to work systematically through the module! Simply dip into it as and when you need information about a particular type of resource or want to learn more about a particular library technique or tool. The topic areas include information skills, referencing, using the library catalogue, research databases, books, journals, theses, current awareness services and using the Internet. A key feature of the module is the suite of video tutorials providing quick and easy to follow demonstrations of all kinds of library and research techniques and skills. For example: finding a book, an electronic book or a journal article on the library catalogue. Or learn how to activate your reading history, so that you can see all the books you’ve ever borrowed from our libraries. Not to mention the demonstrations on setting up a blog, or finding book reviews. And that’s just a few of the tutorials on offer. There are also short films introducing you to different library services and facilities. Why not watch the introductions to the Forum Library and Lasok Law Library, or meet your Subject Librarian team on film? This entry was posted in Training on 18th Oct, 2012 by Susan Abbott.